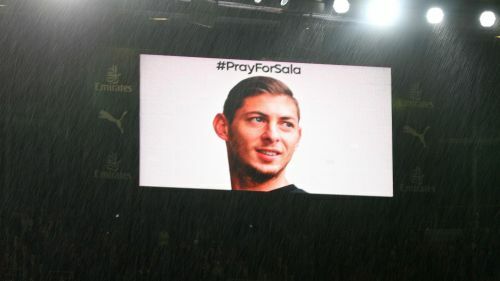 Cardiff City have outlined "grave concerns" about pilot David Ibbotson's licence and the legality of the flight that carried Emiliano Sala following an interim Air Accidents Investigation Branch (AAIB) report. Ibbotson and Sala were travelling from Nantes to Cardiff on board a Piper Malibu aircraft when it disappeared on January 21. Sala's body was later recovered from the plane wreckage in the English Channel with the help of specialist contractors, he died from head and trunk injuries. Ibbotson's body has yet to be found. The AAIB is investigating the circumstances surrounding the flight and released an interim report on Monday, detailing its focus. A summary found that the plane, registered in the United States, could not be used for commercial purposes without prior permission. There was no evidence that permission had been sought, although it was unclear if the flight was alternatively being operated on a cost-sharing basis. The AAIB also said Ibbotson's "logbook and licence were not recovered from the aircraft, and the ratings on his licences and their validity dates have not yet been established". With a full report still set to follow, Cardiff responded with a statement. "The club acknowledges the publication today by the AAIB of their special bulletin on the loss of the Piper Malibu aircraft carrying Emiliano Sala," it read. "We have grave concerns that questions still remain over the validity of the pilot's licence and rating to undertake such a journey, as identified in the bulletin. "We are also concerned to discover that the trip involved an aircraft which did not conform to either UK CAA or US FAA requirements for commercial activity and therefore may have been operating unlawfully. "We welcome further investigation into the accident, which is required to determine precisely what happened, and to ensure changes are made so that this situation never happens again." Cardiff signed striker Sala from Nantes in a club-record deal in January.